Skål! Raise a toast to all things good and faithful in life with the spirit of Scandinavia. Distilled with many of the same botanicals as gin—coriander, angelica root, lemon peel, and vanilla—Aquavit gets its distinct flavor profile from caraway seeds and fresh dill. In the tradition of our beloved Sweden, Norseman Aquavit is distilled from grain and built with notes of fennel, star anise, and the bold seeds of caraway. To achieve the perfect depth in character, we barrel-age our Aquavit—the final product is like a slice of warm rye bread straight from the oven: it’s perfect for those frigid winter nights when the snow blankets the ground. *Rich Simple Syrup: simmer two parts sugar to one part water until clear. Be careful not to simmer too long or it will crystallize! 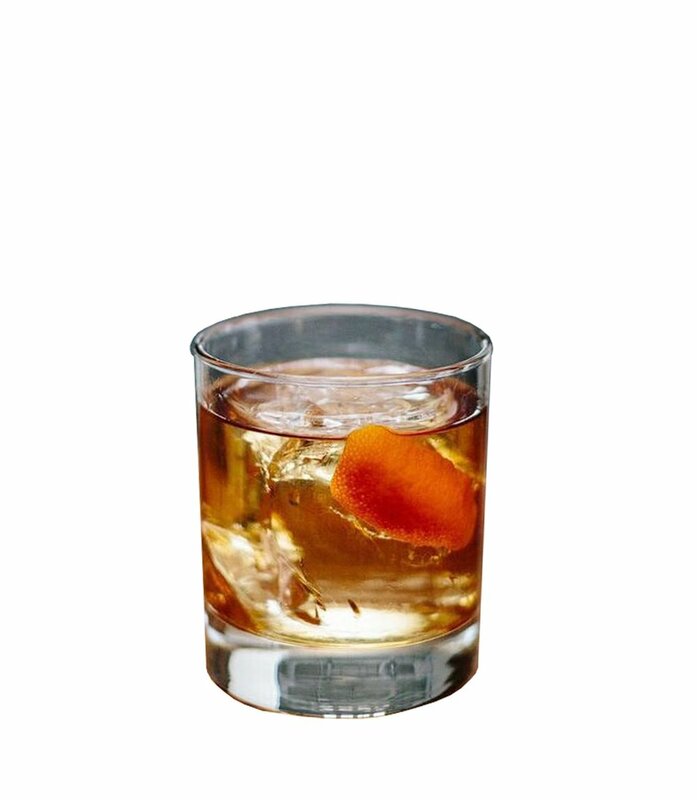 Build on a large ice cube and garnish with an elongated piece of orange peel. Chill Norseman Aquavit before serving, measure 60ml into a glass and raise a skål to prosperity.